Can electric bikes make sustainable commuting more attractive? After a week’s trial of an e-bike I’ve found that cycling to work can be both easy and enjoyable. Wednesday is ‘Cycle to Work Day‘. Around 750,000 people commute regularly by bicycle (1), but this national event aims to encourage far more commuters to jump on their bikes. The environmental benefits of reducing fossil fuel consumption are considerable. In Newcastle alone, there are 7 million bike trips made every year, saving over 6,000 tonnes of CO2, equivalent to the annual emissions of nearly 2400 cars (2). I don’t enjoy arriving at work drained and dishevelled, and I’d prefer not to have to cycle in Lycra and change in the office. I do cycle to work about once a week during the summer, but what could persuade me to commute by bike every day of the week, all year round? For me, there are 4 miles and several big hills to work. I don’t enjoy arriving at work drained and dishevelled, and I’d prefer not to have to cycle in Lycra and change in the office. So, I arranged for Green Energy Cycles in Hexham to loan me an electric bike for a week to see if I could set a new routine. 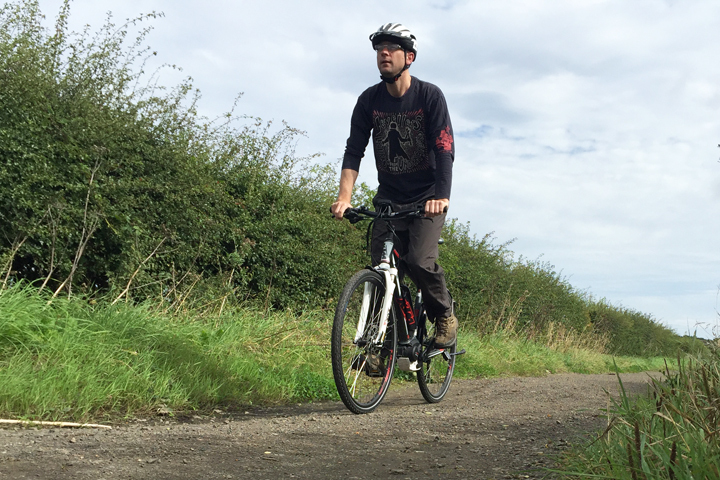 I put an e-bike through its paces last October and the experience of riding one is hard to forget. 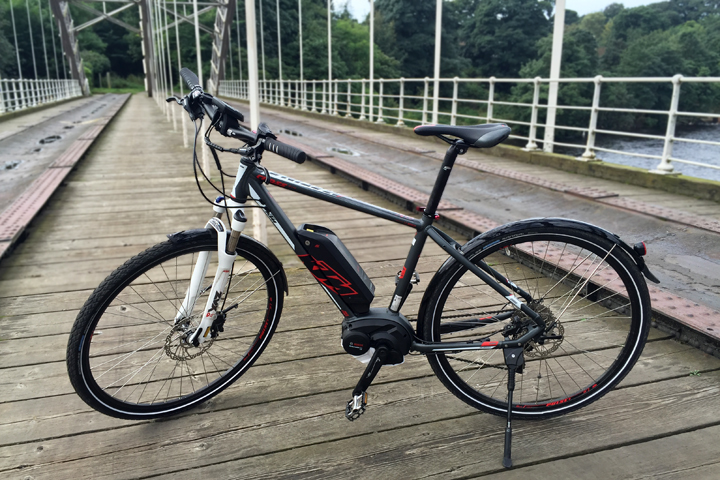 This time, I cycled a KTM e-bike with a ‘pedal assist’ Bosch drive. Pedalling effort is multiplied by the motor which makes cycling up those hills a breeze. Due to regulations, the motor speed is limited to 15mph so as I pick up speed on the flat, or downhill, the motor tapers off leaving me in charge of momentum. The extra oomph! delivered by the e-bike made my daily commute 25% faster and I still arrived at work looking presentable. 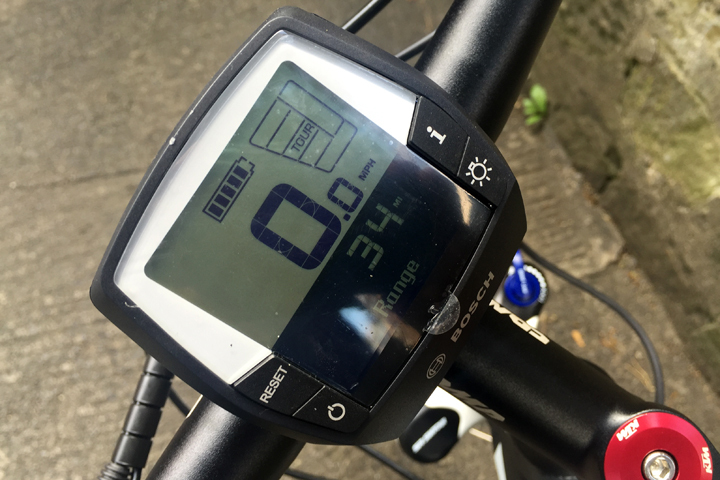 Suddenly I felt like Superman with Kryptonite around his neck, robbed of my superhuman pedalling powers!There are a range of power settings on the Bosch system. During my five days of cycling to work I had sun, wind and rain, and throughout I was quite happy to leave the bike in Turbo mode, letting it do the hard work. 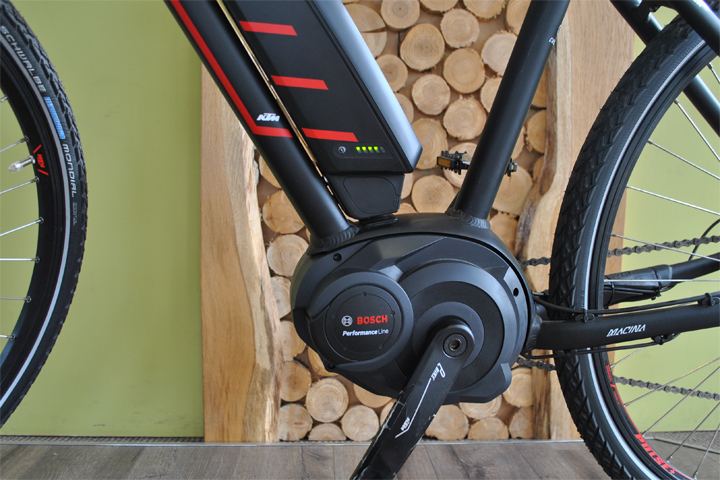 The battery, which takes 3 hours to charge from flat, will carry the e-bike about 25 miles in Turbo, and up to 70 miles in Eco. I didn’t plan ahead on Thursday and experienced more than a little ‘range anxiety’. I had clocked up more miles than intended and the battery ran down to one bar. I changed down through the power settings to maximise the remaining charge and eventually ran out of juice about 2 miles from home. It was a reminder that the e-bike is still just a bicycle, and a heavy one at that. Suddenly I felt like Superman with Kryptonite around his neck, robbed of my superhuman pedalling powers! One of the challenges of urban cycling is air pollution. I’ve always worried about exhaust fumes, particularly where traffic queues coincide with a steep incline. Cycling uphill and breathing lungfulls of carbon monoxide, nitrogen dioxide and soot is unpleasant and unhealthy. 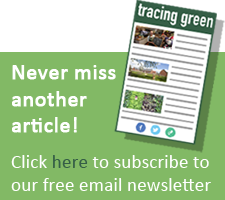 Researchers from the London School of Medicine (3) have found that bicycle commuters inhale more than twice the amount of black carbon particles as pedestrians making a comparable trip. The beauty of an e-bike is that you can limit the physical exertion and cut out all that heavy breathing. 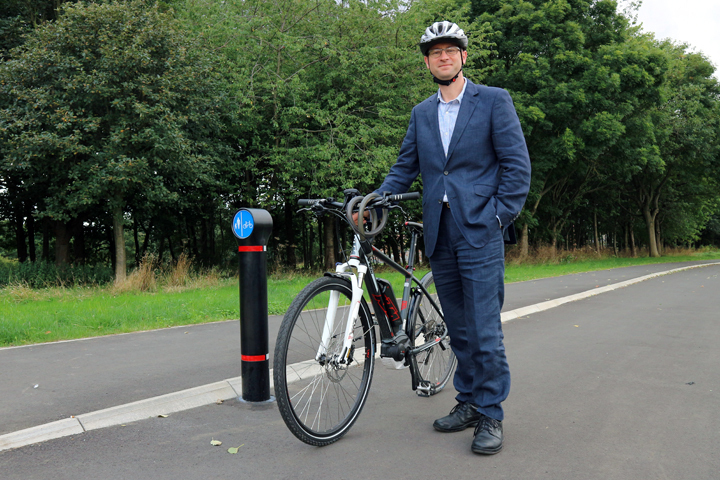 The fewer cars on the road, the cleaner the air, the less energy consumed and the safer the road for other cyclists and pedestrians.A colleague asked if these bikes are really environmentally friendly since they need to be plugged in and charged up. It’s a good question, but in reality their energy requirement is tiny. I worked out that the electricity I used over five days of commuting cost me less than 50p, and that’s with a generous use of the Turbo setting to minimise my effort. Yes, despite my green tariff, this electricity did involve the burning of fossil fuels but it was miniscule in comparison to commuting by car. The fewer cars on the road, the cleaner the air, the less energy consumed and the safer the road for other cyclists and pedestrians. My week’s e-bike trial demonstrated that commuting by bicycle can be easy. 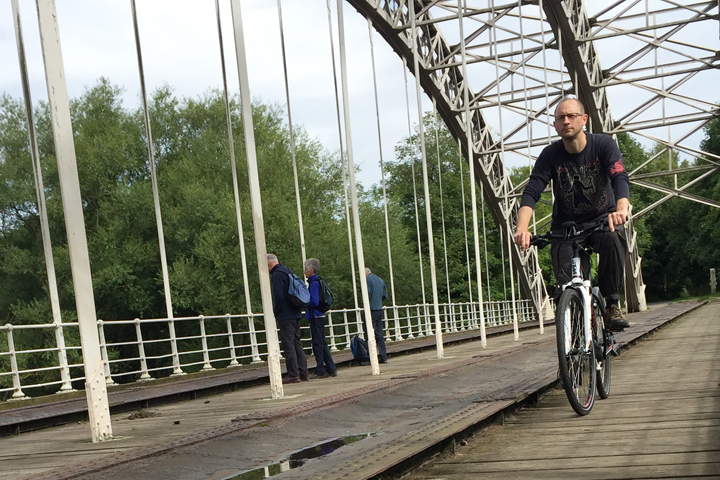 I cycled in a range of weather conditions without discomfort, even cycling to meetings during the day. Overall though, it was just great fun! Everyone who had a spin on the bike agreed that the acceleration was exciting. Rather than dreading getting the bike out of the shed in the morning, I found myself looking forward to it. So much so, when it came time to return the bike, I decided to cycle it back to Green Energy Cycles in Hexham. Instead of putting it into the boot of the car, I took Hadrian’s Cycleway and enjoyed a pleasant hour and a half e-biking through Northumberland. (1) What is Cycle to Work Day? (3) City cyclists are at increased risk of lung injury from inhaled soot, Queen Mary, University of London. Good for him but this was a top-of the- range mid-drive bike with the Bosch system. You probably can`t afford it. I bought a little step-thru bike in a Halfords sale and equipped it with a front hub kit. Cost? £150 for the bike and £450 for the kit. Hub drive systems have improved tremendously in the past few years and my bike is probably pretty much as good as his.. At a third of the cost. Next story Can the Tesla Powerwall Revolutionise Renewables?